(Person) Harry Chen took (Photo) Tim Finin -- SWIG Meeting Apr. 07, 2004. (Photo) Tim Finin -- SWIG Meeting Apr. 07, 2004 was taken at (Event) SWOOGLE - An Indexing and Retrieval Engine for the Semantic Web. 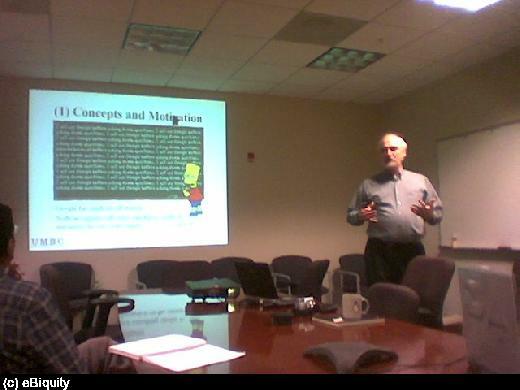 (Photo) Tim Finin -- SWIG Meeting Apr. 07, 2004 was taken at (EventSeries) SWIG Spring 2004 Meetings.